The Nokia X2 is a simple phone with a few hidden surprises. It is well made, has a nice interface and overall is fine to use. The Nokia X2 is an entry-level handset with plenty of features and a penchant for music playback. It sits somewhere between the Nokia C1-01 and the Nokia X3 Touch and Type in both functionality and price. With the recent trend in cramming as many features as possible into a phone in an effort to jump on the smartphone bandwagon, the Nokia X2 bucks the trend and offers simplicity of design and features. The Nokia X2 is a traditional candy bar-styled handset that sits nicely in your hand. You won't find a touchscreen, Wi-Fi, GPS or any of the advanced features we are all getting used to. But the feature set on the Nokia X2 is not to be sniffed at. 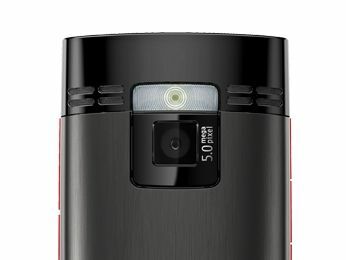 It offers a 2.2", 320x240 pixel screen, 5 megapixel camera with LED flash, QVGA video recording at 20 fps, FM radio, GPRS internet, expandable memory via MicroSD card as well as phenomenal battery life. If Apple were to launch the iPhone 5 with the above features, there would be a lot of very unhappy people out there. But when you consider that the Nokia X2 is available for a tenth of the price of a pay as you go iPhone, you can forgive them a lot more! The phone is aimed at those who are looking for a cheap, reliable handset. The styling of the Nokia X2 wouldn't look out of place in the hand of a teenage hipster, and the ease of use will satisfy your mum and gran as well. The candy bar style Nokia X2 is slim and well proportioned. All the ports are on the top of the handset, with a 3.5mm headphone jack, 2mm charging port and covered micro-USB connector all present. Down the right hand side you are presented with a multitude of buttons to control volume and gain access to the microSD port and camera button. On the left you have music playback controls. Though the Nokia X2 is predominately a phone made of plastic, the battery cover is made of brushed aluminium. It is easy to remove, should you need to gain access to the battery, and adds a quality touch to an otherwise budget feel handset.